We Don’t Need No Stink-n Sockets ! If all the tube projects you ever build just use octals (6L6), miniature 7-pin (12AV6), and miniature 9-pin (12AX7) tubes, you can still find plenty of sockets for them, at inexpensive prices. But what if you have an odd tube, with a weird base. 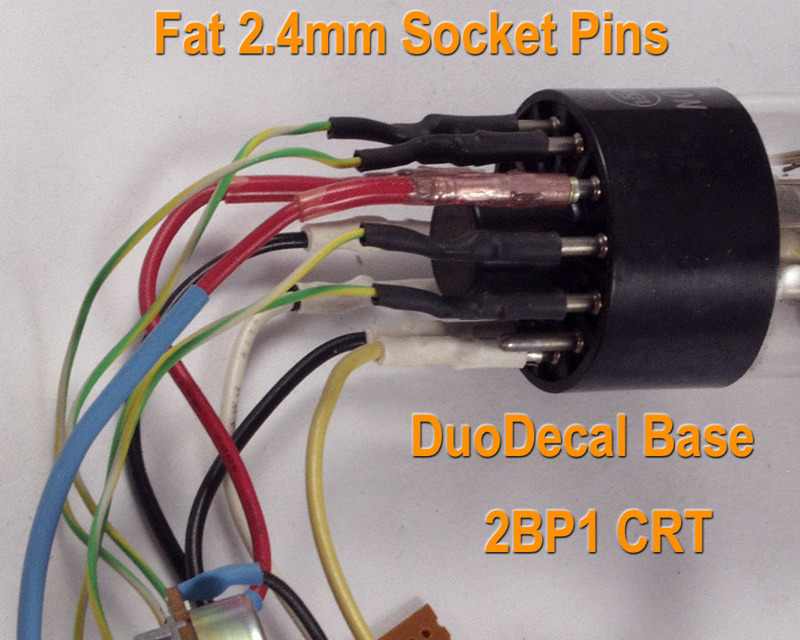 Something like a scope CRT tube, like a 2BP1, which has a 12-pin duo-decal base. 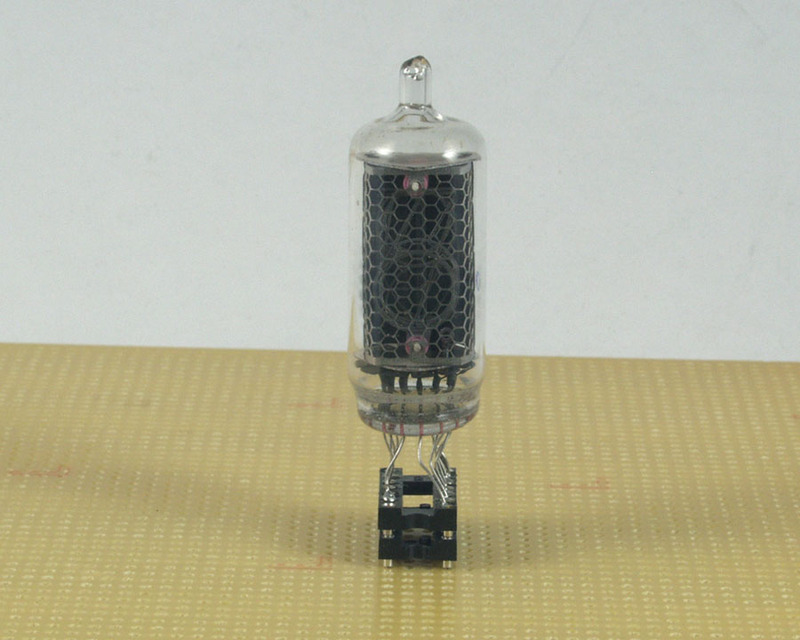 Or a Russian dekatron, like a A-101, with a really strange 13-pin base, or photo-multiplier tube with an 11-pin base. Or all those nixie tubes, with really strange bases. Where do you find those sockets. Sometimes one or two pop up on eBay. But at what price ? And will they fit your tube ? Here’s a way to make improvised sockets, when none can be had. What we are actually doing is making “one pin” sockets, that are used in groups, to yield infinite flexibility ! If we stick with octal, or newer, which is around 1935, there are two common pin diameters. The octal tubes had Bakelite bases, and “Fat” pins with a nominal diameter of 0.093″. 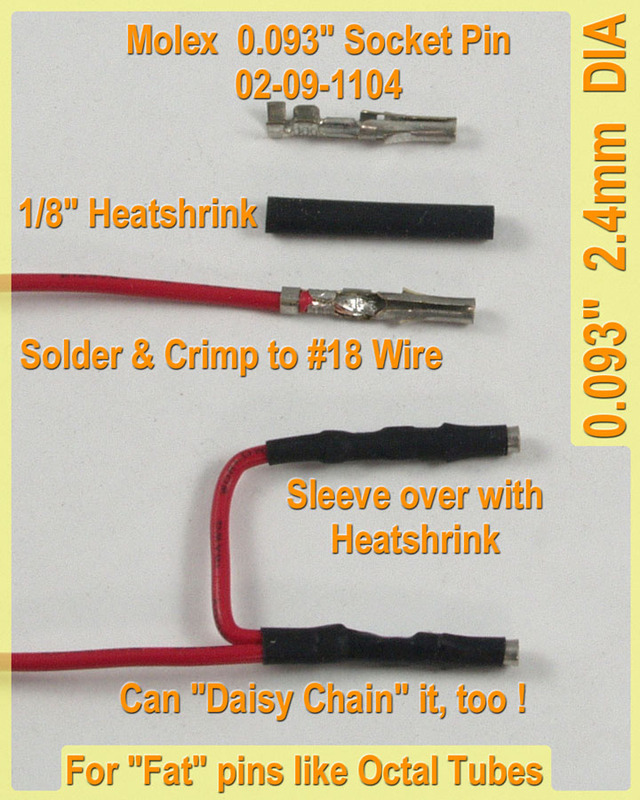 Magically, Molex makes a series of connectors, that use this same diameter. 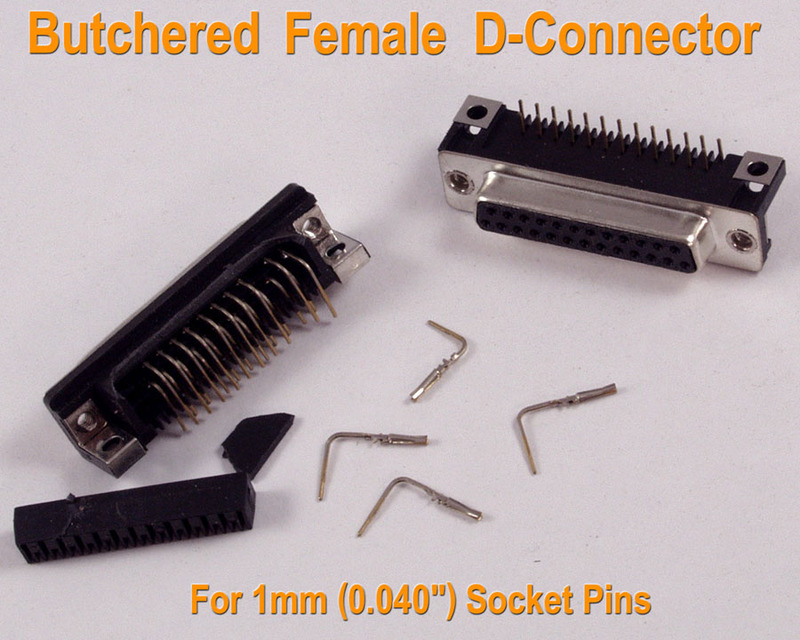 We need the female “socket pins” of this series. These are available at main line stocking distributors, such as Mouser Electronics. The part numbers that work best are: 02-09-1104 and 02-09-1119. Note, this a very versatile way to connect a tube. In this instant, this is used on a CRT tester. 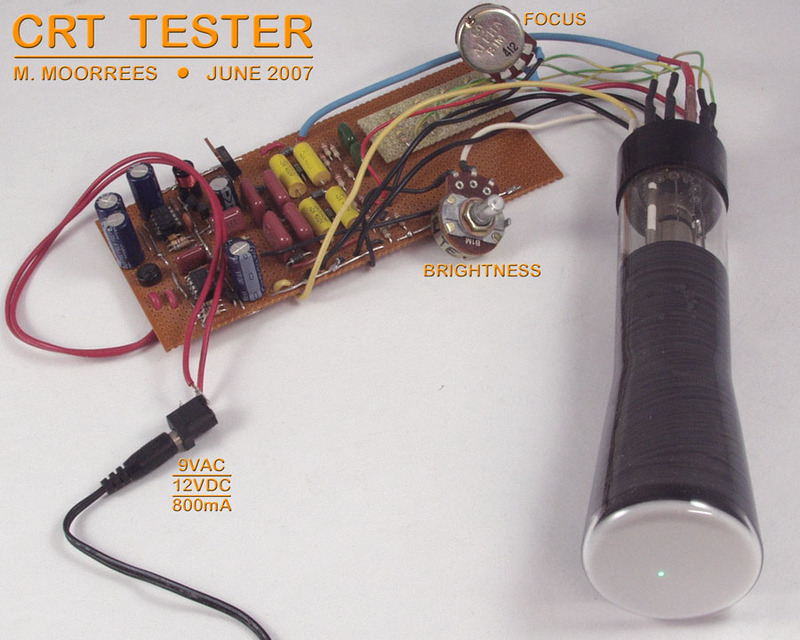 This jig can test many different types of CRT tubes. Some CRTs have 11-pin bases, some 12-pin, duo-decal, bases, and some 14-pin bases. Yet, they can all be tested from this same jig. All you need is the datasheet for the tube in question. Here is that CRT tester jig. The individual socket pins do more than allow versatile hook-up. The insertion, and removal force, is that of only one pin (at a time). If a socket was used, that force would be multiplied by 11 or more. This not only makes insertion, and removal more difficult, you could also damage the tube in the process. Another reason to consider this option. To mount the tube body, itself, a yoke, made of wood, padded with foam, could be fashioned, for permanent installation. 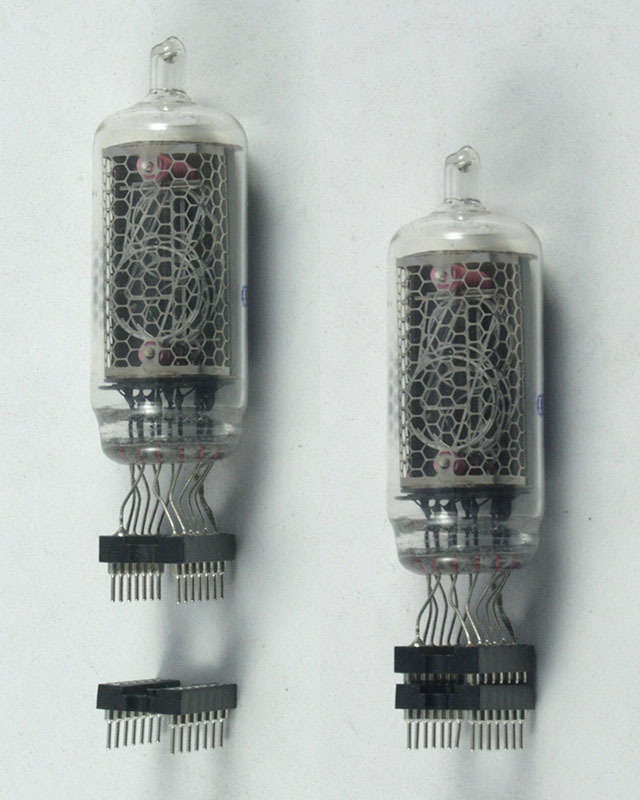 When “all glass” tubes where introduced in the 40’s, they used skinnier pins. These pins had a nominal diameter of 1mm. There are PC mount pins available to accommodate these pins, but there’s a more cost effective option. Close to being obsolete, is the D-Connector. These connectors, prior to ~2000, were used in computers for almost every external connector. The printer port, COM ports (RS-232 to “dial-up” modems), and video ports all used a variation of this connector. This connector group goes back before the personal computer, to the “main frame” days. There is still a lot of “legacy” equipment that still have these connectors. Also a lot of it is floating around in the surplus market. They are still even being sold at Radio Shack. Can still be had a Mouser, for a decent price: 152-3409 (9-pin) and 152-3425 (25-pin). 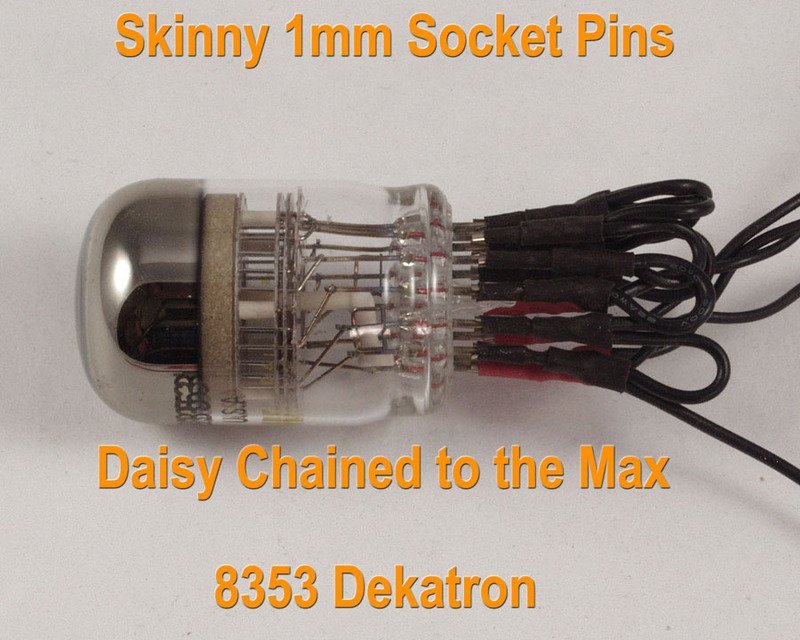 Like this 13-pin Dekatron tube. It has 13 pins, but only 5 wires are going back to the controlling circuit. 9 of the pins are “daisy-chained” together, while the remaining 4 have their own unique signals. Here is a Western Electric WE6167 (repackaged by National Electronics) dekatron, that has a base that requires a socket that’s pure unobtainium. It has 19-pins in two circles. I hooked up pins using D-connectors pins and heatshrink. Then I connected them to an octal “cup”, that fits in the octal socket, on my spinner kit. Here are 14-pin Screw Machined DIP sockets at Mouser: Part and Datasheet. Trim the wire leads to manageable size, but not too short. If its too short, the stress will break the glass. Insert the leads in the socket holes, and solder. Two sockets are required per tube. 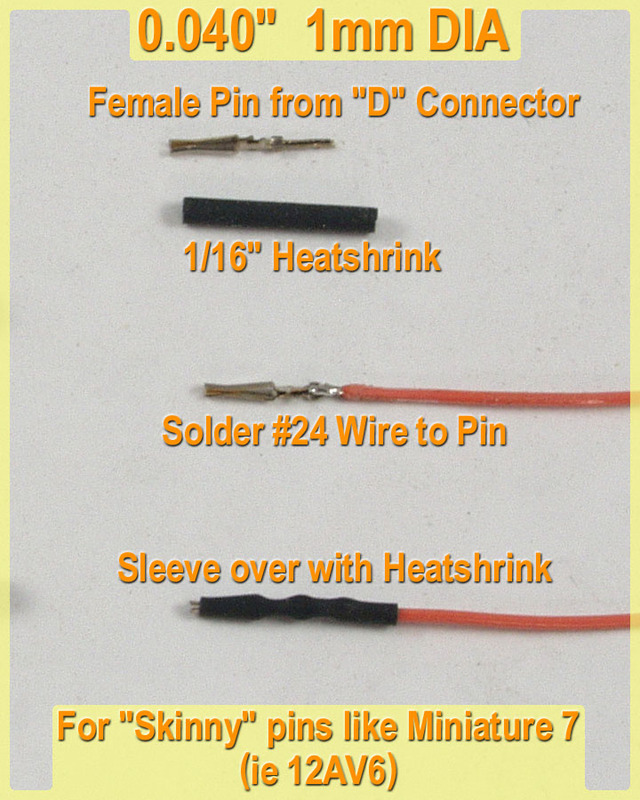 The one that’s soldered to the tube, will act as the plug, while the second is mounted to the PCB or perf board. 6″ x 8″ boards can be had at your local Radio Shack.